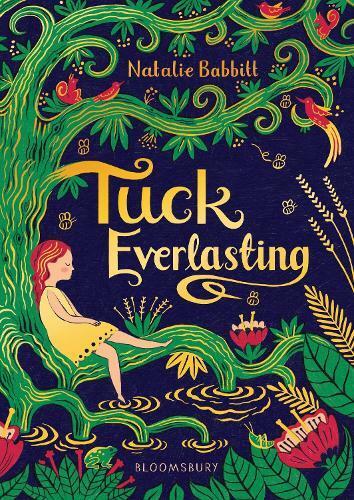 I have reread Tuck Everlasting twice in the last three years and am always struck by the beauty and simplicity of Natalie Babbitt’s writing; why use many words when one perfect word conjures everything that needs saying? Tuck Everlasting explores the implications of immortality in a quiet and thoughtful way. The Tuck family drank from a spring that, for better or worse, has granted them everlasting life. On a hot summer’s day they return to this hidden spring and their lives dramatically intersect with a bored and cosseted child, Winnie. This compact gift of a story thrums with the stifling heat of summer and cools down with forest shade. It gives us the scuffed and delightful Tucks, a family of optimists and realists, and Winnie, a spoilt but plucky girl who is ultimately faced with life and death. Tuck Everlasting, once read, stays with you, true to its name. It’s not to be missed. For ages 10+.